The Shoulder is one of the most movable joints in the body. It is made up of 3 bones; the clavicle (collar bone) which is attached to the sternum; the scapula (shoulder blade) which is attached to the clavicle; and the humerus which is attached to the clavicle and scapula. The joint articulation (bone to bone contact) between the humerus, scapula and clavicle is very small. The joint is held together by the soft tissues consisting of ligaments, muscles and tendons. This small articulation is what gives the shoulder its large range of motion, but is also makes the shoulder vunerable to injury. The soft tissues work together to create movement and strength but can be easily compromised by overuse, posture and trauma. Shoulder pain is most commonly caused by a rotator cuff injury, frozen shoulder, tendonitis or bursitis. 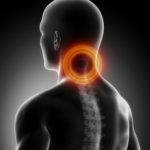 Cervical or thoracic spine injuries can also cause shoulder pain. Your chiropractor will go through a number of tests with you to determine the cause and diagnosis of your shoulder pain. We can also send you for further imaging if it is needed. It is important for your recovery to have your shoulder assessed properly. Postural issues can often create weaknesses in your shoulder joint as many of us have rounded shoulders causing imbalance and stress on the shoulder muscles and ligaments. Shoulder injuries are a condition that chiropractors regularly treat. We look at the whole injury. Are their postural changes? Is the spine contributing? We spend time realeasing the muscle imbalances; working the shoulder ligaments; settling any inflamation in the bursa, increasing the joint range of motion; creating the correct tracking pattern for the shoulder blade and shoulder joint. 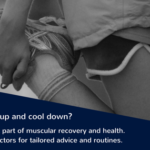 We use muscle release techniques, stretches, dry needles (similar to acupuncture), joint mobilisations and adjustments, rehabilitation exercises to create strength, movement and prevent further injury.